Nearly seven months ago Trump defeated Hillary Clinton by a few thousand votes in three Midwestern states and was on his way to replace President Barack Obama in the White House. A week later he began making noise with his cabinet picks. 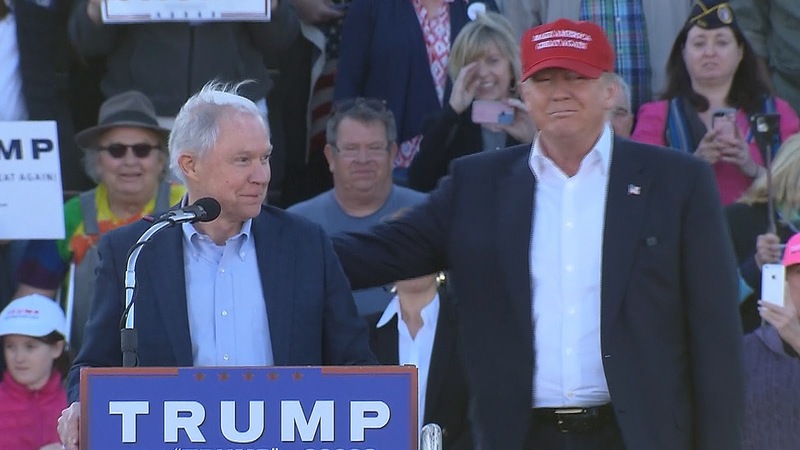 One of his first nominations was Jefferson Beauregard Sessions to become the next Attorney General. Sessions was confirmed in early February by a largely party-line vote 52-47. He abstained from voting for himself so Joe Manchin (D?-WV) gave him his 52nd vote. Since then it's been a very bumpy ride. We learned that Sessions had lied on his security clearance application, hiding several meetings with Russian diplomats and spies. This led him to recuse himself from the on-going #TrumpRussia investigation in early March, just a month after his confirmation. Predictably, Trump was angry that his team faced ethics questions. And Trump didn't waste any time castigating Sessions' replacement, Rod Rosenstein. It got to the point of Rosenstein first threatening to resign and then in an act of utter defiance, Rosenstein appointed Robert Mueller to be a special counsel tasked to lead the investigation in his stead. The Justice Dept. should ask for an expedited hearing of the watered down Travel Ban before the Supreme Court - & seek much tougher version! That's right, we need a TRAVEL BAN for certain DANGEROUS countries, not some politically correct term that won't help us protect our people! Personally, I wish we lived in the days where you could challenge a person to a duel. That would be a fun Pay-Per-View event. Yes Zell Miller, those really were the days.